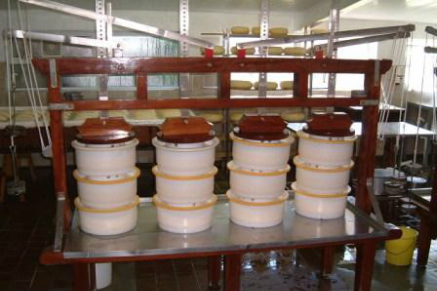 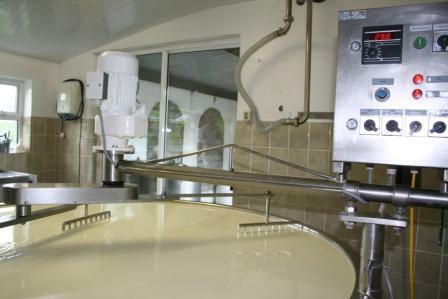 The milk being mixed and the cheese being made. 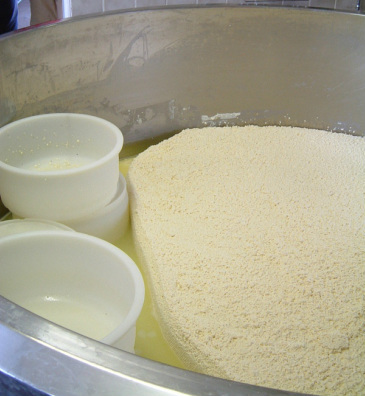 The curd has now been seperated from the whey. 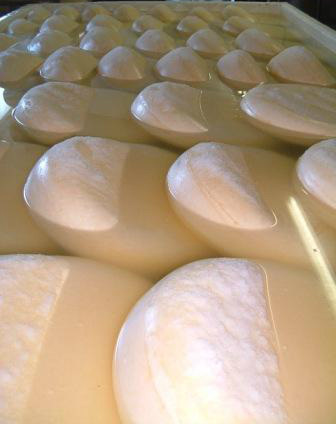 Getting the curd in the mould. 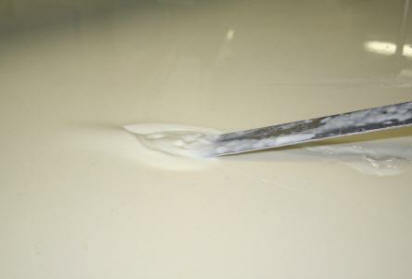 ...and turning the cheese in the brine!